Find all the best free fabric purse patterns in this library of bag patterns! With a nearly endless supply of bag patterns, we thought we'd create a master collection. Behold the Free Bag Sewing Patterns Directory. This page will help you find tote bags, messenger bags, lunch bags, purses, clutches, makeup bags, duffle bags, backpacks, coin purses, and so much more. Basically, any type of bag you're looking to sew, you'll find it here. In fact, this is divided by type so all you have to do is scroll through to find what you're looking for, then click and find hundreds of patterns for that particular style of bag. How easy and cool is that? So, take a look and get started on a new bag pattern today. 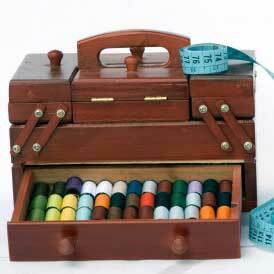 You'll also find many to add to your "Sewing To-Do List" we think. Making a DIY bag is so awesome because you can customize it for exactly your needs, which most store-bought bags cannot deliver. Tip: If you hover over an image of a bag sewing pattern you like, it will tell you the name. You can find it by clicking and looking through the patterns or use the site search bar at the top left to search for the exact name. Not sure where to start? Then check out our General Bags and Purses category. There are over 50 pages of bags, purses, and other holders that you'll want to check out before making a decision for your next pattern. Clutch bags are great for the gal who doesn't want to lug around a huge bag for just a few things. These clutch bag patterns will help you find the perfect complement to your outfit that also holds your things. Any of these tote bags will help you carry everything you need. There are big or small tote bag sewing patterns here and you'll find more than one design you will want to make right away. Totes cool collection! If you're looking to sew up a bag that will hold everything you need on an overnight trip, then check out these duffle bag sewing patterns. These DIY bags will hold everything and then some. Plus, they are cute! We all know how flimsy plastic store bags are. These grocery bag patterns help you hold everything AND help the environment! There are even bag holders to make for those times you forget your reusable grocery bag. Handbags can be purses or other bags that you can carry in your hand. These handbag sewing patterns include large and small bags, those for both adults and kids. You will love these fresh and handy designs! If you have a baby, are expecting, or know someone with kids, then you know how essential a good diaper bag is! These DIY diaper bags will help you save money and keep all your baby's basics in one place. You won't know how much you could use waterproof bags until the time comes. These waterproof bag sewing patterns are important for holding bathing suits, snacks, changing mats, phones, and more. A hobo bag tends to be larger with a slouchy look. They hold a lot, look trendy, and are easy to make. Find all the hobo bag patterns you want with this tag page full of innovative ideas, designs, and tutorials. A woman on the go knows how important it is to have makeup, makeup brushes, and small toiletries secure on any short or long journey. Plus, easy to access when needed. These makeup bag patterns will keep you happy. The must-have for women of all ages - a perfect purse. You're sure to find what you're looking to make with this huge selection of purse sewing patterns. Find styles of all kinds in these tag pages full or purses. Ah, the good ol' drawstring bag. You can't beat them because they are light versions of backpacks that hold all you need without cramping your style. Find pages and pages of drawstring bag sewing patterns here. Not only will you find pages of traditional lunch bag sewing patterns, but there are lots of alternative lunch bags like snack bags and cutlery bags. If you're bringing food on-the-go, these designs have you (and it) covered! Messenger bags are a classic for a reason. Instead of buying one, take a look at these messenger bag sewing patterns and find one that you can make yourself. These are sturdy, trendy, and they hold a lot! Even in the digital world, we all find ourselves needing change to pay for certain things. Turn that chore into a delight with these amazingly cute coin purse sewing patterns. All sorts of adorable designs to choose from! Find the coolest and most unique backpack sewing patterns for your kids when they are starting or going back to school or for adults who want a hands-free option for carrying their daily supplies. Such a great collection. I love bags and have such a difficult time finding what I want in stores. I am definitely interested in making my own versions of all types.